A few weeks ago, bestselling author Brad Meltzer told his fans that he was going to do something nice for a few select people. The catch was that your request couldn’t be for yourself and if selected you had to do something kind for someone else. My request? A signed copy of his newest book, The Fifth Assassin, to give away to one of my readers. And lucky for you (not me, remember?) he agreed! 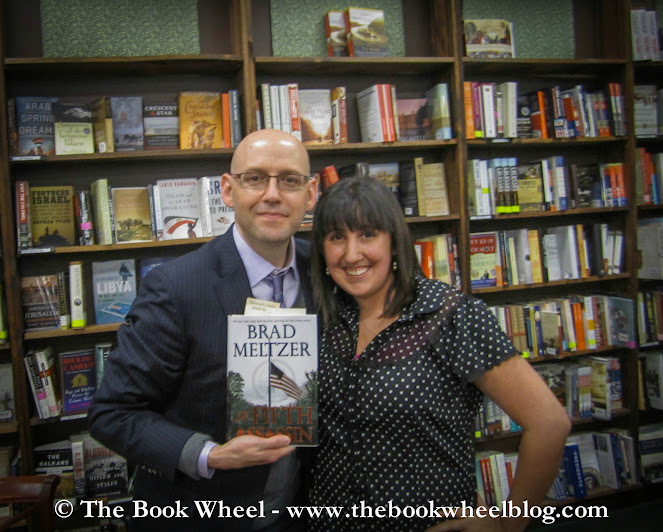 For those of you who don’t know much about me, I am a huge Brad Meltzer fan. A friend of mine recommended The Book of Fate to me years ago and it turned me into a fan for life. His books are primarily political thrillers but he throws in some Wall Street and comic book references for good measure. A few months ago I had the supreme pleasure of meeting Mr. Meltzer at a local bookstore signing and he was funny, thoughtful, and very engaging. Plus, he signed an extra thing for me to send to my friend who started me on my path to Meltzer-fandom. But back to spreading kindness. In return for this awesome giveaway, I’ve done a few kind things. The first was to get my Michael O’Hanlon book signed at a forum I attended, but decided to get it signed for someone else. If you know me, you know this was a sacrifice because I love signed books. But then Mr. O’Hanlon signed his personal copy of his book and gave it to me, which was awesome of him but left me feeling like my good deed didn’t really count. I made up for it by buying food for the person in line behind me a few days later and am confident that I set the kindness record straight. But because this giveaway opportunity is so incredible, I will have to do a few more things to deserve it.